May was a busy month. Work, bike riding, yard tending, getting ready for a high school graduation (which happened! ), and of course bees. This is the last of three topics I wanted to cover about the month of May under a Star Wars theme. After discussing my selling some nucs and the fall of Mars, that leaves a post about my top bar hives. So here it is. 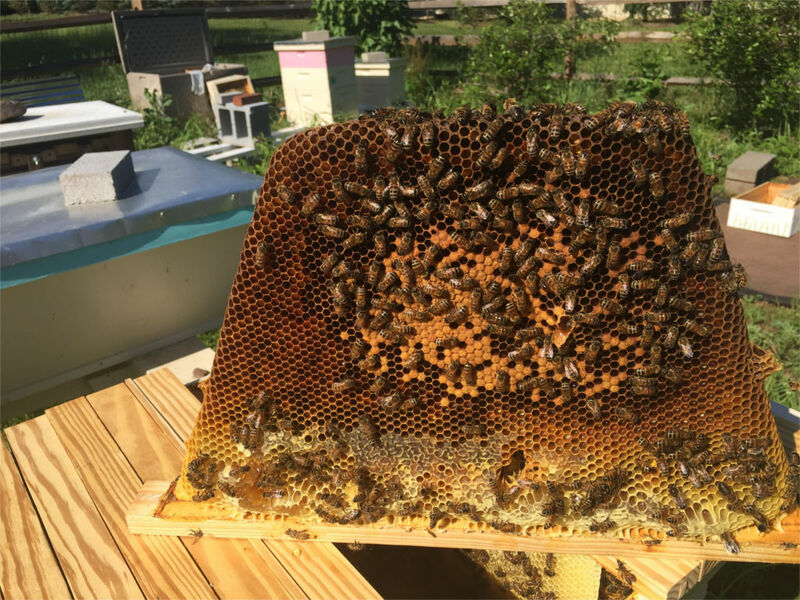 I split this hive on April 9 in an attempt to prevent swarming. My anti-swarming attempts need some work, as none of them succeeded this year, for any hive. On my April 30 inspection there was no brood in Saturn, and I suspect she swarmed. The hive has recovered, though, as on May 26 there were six or so frames with larva and brood. I even saw the queen. 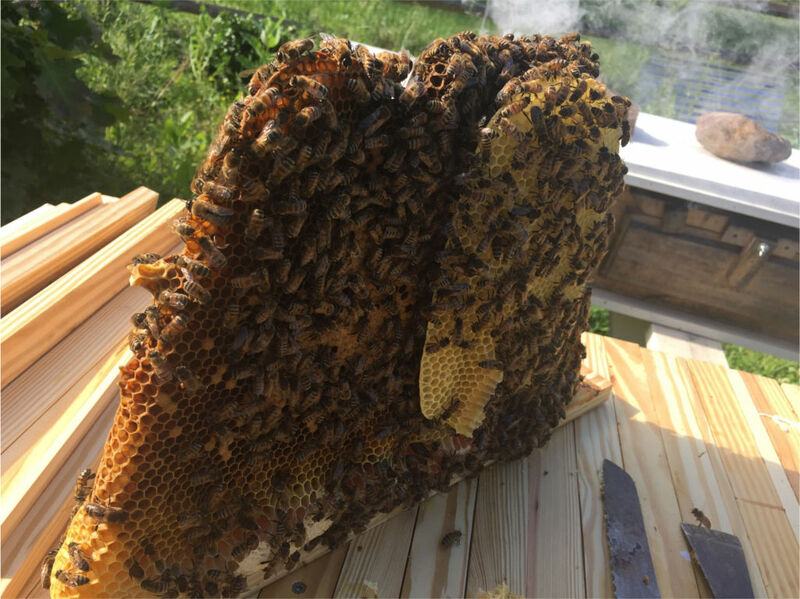 I tried to take a queen picture and they all came out blurry, so you are left with the brood comb shown here. There are a good 20 combs built out, mostly empty. Lots of nectar and some honey, so we will see how she does with preparations for winter as our nectar flow is winding down moving into July. The middle top bar hive was a split from Saturn, and one of the combs fell and I had to clean it up. So was pleased to find the queen and a couple frames of brood. The picture shows the double-comb they built. I didn’t pull it out as this is one of the few brood frames. In fact, there are only 7 combs available so I will probably leave this one in over winter. I don’t name my hives until there is a laying queen, so I was writing “New TBH” in my notes for this hive. The only moon of Saturn I could remember was Titan, so that is the new name. She is about four feet long so there is plenty of room for a growing hive. 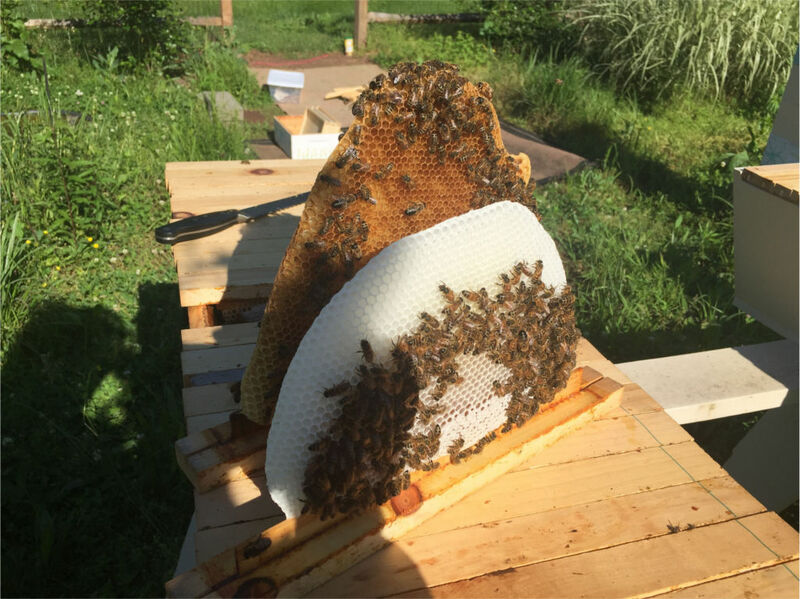 In Virginia we like to see at least 12 bars of comb built out before winter, so this hive has some work to do. You may recall that I tried to split Venus. I inserted the divider board in the middle to create two hives, one at each end. I finally figured out why this was not working, as there was a small space between the top side of the hive and the divider board just big enough for a couple bees. So the colony treated the whole space as a single hive and surely swarmed. Another anti-swarm attempt foiled. The good news is that the new queen is working away; I found three combs of brood. I removed the divider board and reduced the back of the hive from three entrance holes to one. There are a number of foragers using this “back entrance” so will leave it open until late fall. So that’s it. 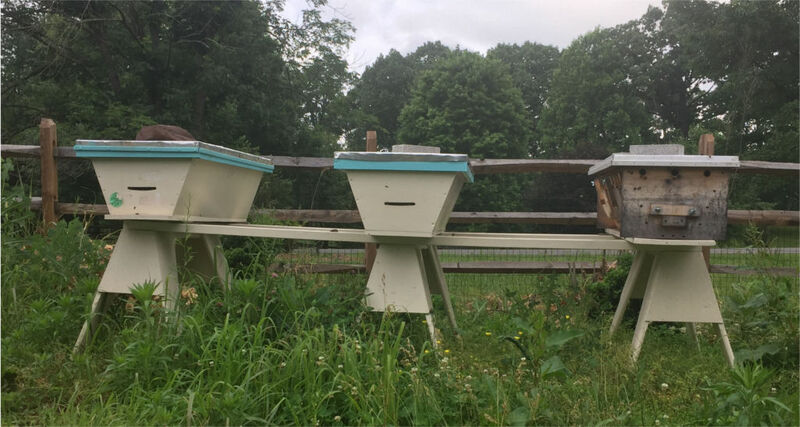 Three top bar hives, three queens. Bees working hard to pull in what nectar they can find as spring moves into summer. These three posts are based on the “peace be with you” phrase of the Star Wars universe, along with the first three films to appear in theaters. Return of the Jedi, released in 1983, was the final installment of the original Star Wars trilogy. The film resolved the issues between Luke and Leia, Han and Leia, Darth Vader and Luke, and otherwise forged a happy ending for the story. A new Star Wars film wouldn’t appear in theaters for another 16 years. In the story, Luke is the returning Jedi. Given the queen’s central role in keeping the colony going, it seems appropriate to use the return of my top bar hive queens with this movie title. Strictly speaking, they are new queens and didn’t return from anywhere. Still, it sort of fits, and it’s my blog. Looking forward to seeing more of Titan! Great name. How do you pronounce it in your accent? I would say Tie-tan (tie like the clothing item, tan like a glowing tan). Great tie-in with Ti-tan and the epic Star Wars! Ooh, I forgot about the Titan class star destroyers in Star Wars, not to mention the TIE fighters. Nice pick up, Ron!